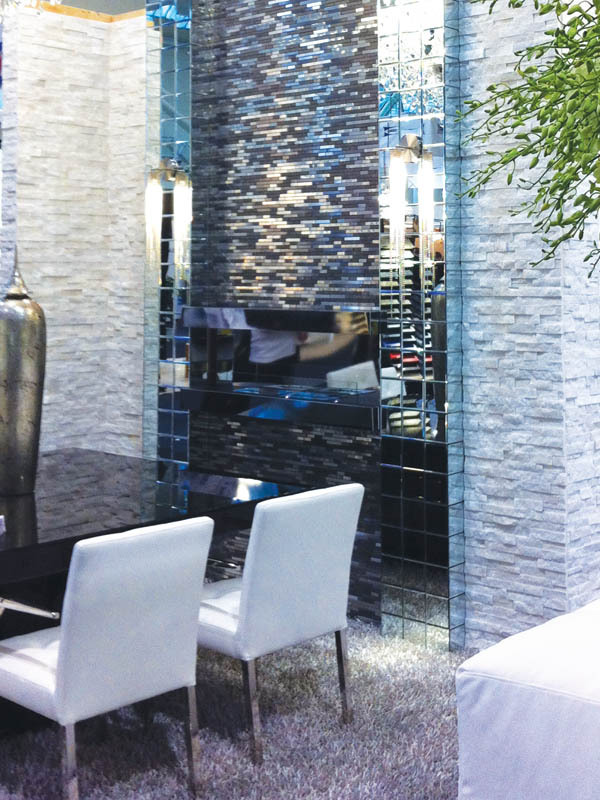 Every year, when the Interior Design Show (IDS) descends upon the city of Toronto, thousands of industry professionals and consumers acquaint themselves with businesses at the fore of design. Booth exhibits boast inspiring techniques, home accessories and bursts of colour, piquing the interest of passersby. Perhaps it was the intrigue and mystery of a particular stand that attracted loyal and new patrons alike, as they neared the refreshingly bold, eclectic design contributions from NordSouth Interiors. A feature wall fitted with mosaic, quartz, mirror tiles and an ecological fireplace introduced visitors to the design firm’s über-glamorous settings, which were further pronounced by a swanky dining table and chairs, sumptuously deep sofa and The Sasha, a suede bed with Swarovski crystals embedded in its headboard. “When people walked by, they saw something different, exciting; they saw something they’ve never seen before,” says Maja Bovan, an interior designer with NordSouth Interiors in Toronto. Established in 1989, NordSouth has since transformed bland spaces into realms of grandeur. 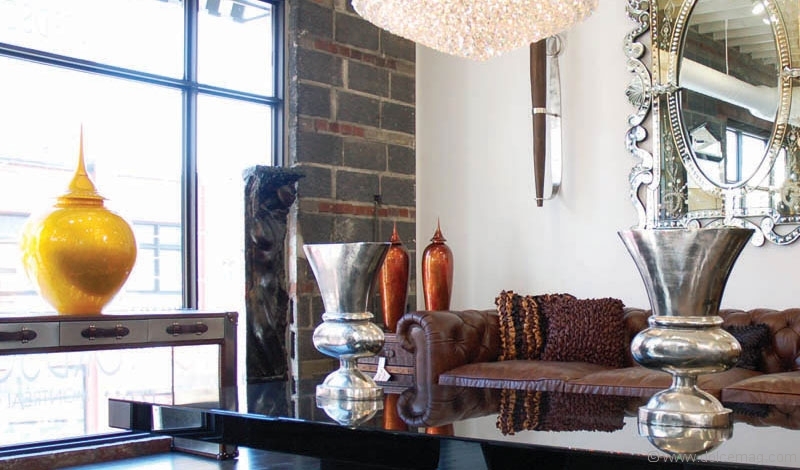 The Montreal-based design firm has bedecked both residential and commercial properties the world over, delivering its signature touch of eclectic design to high-profile clientele. 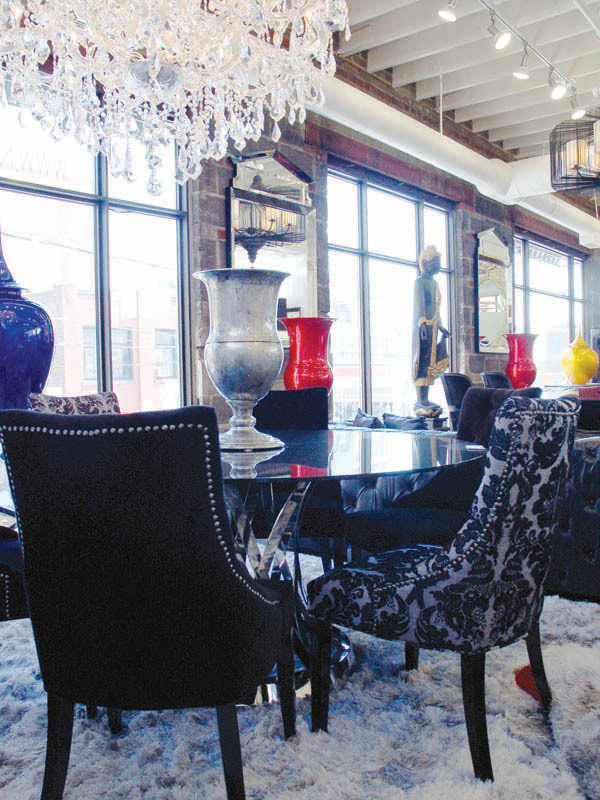 Founded by expert interior designer Stéphane Fréchette, otherwise known as “The King of Eclectic,” and business partner Robert Sauvé, the company reflects an acute attentiveness to cities looking for something different and dramatic. Since its beginnings, NordSouth has expanded to three international branches, landing in Toronto’s design scene last year with a splash. The company experienced a turning point after its decisive debut at IDS 2012, one in which secured the firm’s presence amongst local and multinational design practices. “NordSouth finds different styles – contemporary, modern and tradition – and is able to combine them into one design with different items, materials, furniture and styles,” explains Bovan. “We import chandeliers and furniture, accessories and sculptures from around the world, to produce exclusivity and diversity, as well as working with independent artists to ensure that every piece is one-of-a-kind,” she adds. 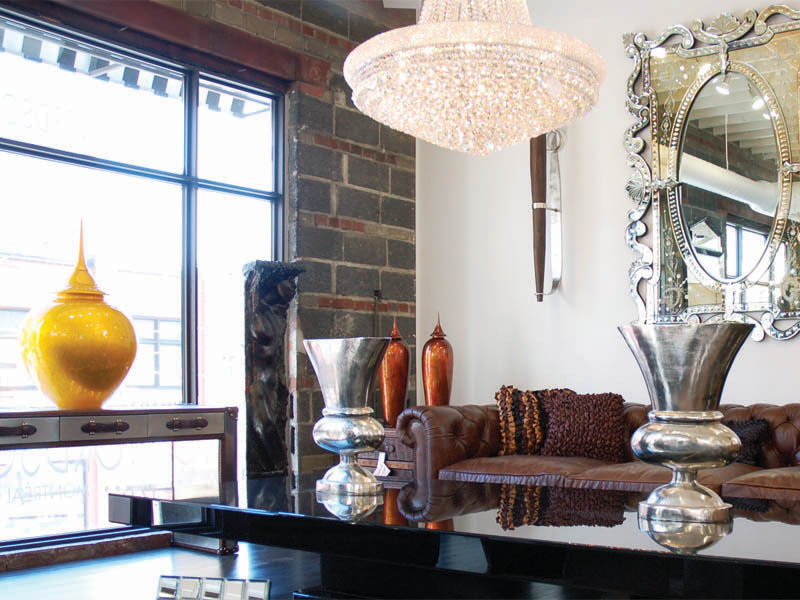 Clients are able to see, touch and bask in the glamorous, offbeat collection of NordSouth at its showroom in Toronto’s King Street East area. Whether buying a piece of artwork or renovating a room or your home, NordSouth turns the ordinary into extraordinary.